Jalan Wires Private Limited are engaged in providing Comprehensive range of Winding Wires that include Aluminum Enameled Wire, Aluminum Bare Wire and many more. These have wide Industrial applications such as in Automobiles, Transformer, Motors, Appliances, Switch Gears, Lighting etc. Our wide spread Infrastructure includes manufacturing unit and supplying unit and is well equipped with drawing units such as Germany makes Niehoff, which is a dust free wire drawing machine having online annealing. We have added recently a fully computerized and latest Italian (Newtech) Plant at our enameling section with latest technology machines and equipments. We have an expert team of engineers, sales manager, technicians, quality managers, supervisors etc. These expert professionals are dedicated towards completing the demand of various high scales or low scale industries by increasing the production of our organization. 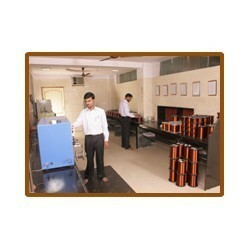 We are dedicated towards delivering Supreme quality of Winding Wires to our valuable clients. We understand the need of our valuable clients. We do complete quality and performance measure inspection at each level of manufacturing ensuring enhanced level of satisfaction. We also do customization of these Machines and Press Equipments as per the need of clients. We also engaged in Social help as have constructed School in rural area in order to provides free education to the needy children. Jalan Wires Pvt. 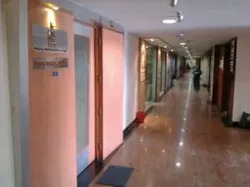 Ltd. commenced its operations in the year 1987, since then the company has periodically incorporated innovative production technologies and updated its methods to match current global standards ensuring over all optimization of its processes. Jalan Wires Pvt. Ltd. forayed itself as a prominent name in the Aluminium Wire Manufacturing Segment. With a progressive vision and the requisite industrial capacity, the company is today regarded as a name to reckon with in its segment of business. In Jalan we believe that success comes through determination and perseverance. It is with this thought that the company has earned a wealth of goodwill within just over a decade of its inception. The company's success comprises of its consistent performance, excellent quality, prompt customer service as well as accuracy in delivering on clients' requirements. The company combined with its market expertise and innovative approach finds its foundation on trust and partnership with its clients. It is with this approach that the company is able to prioritize its performance and always achieve complete client satisfaction. D&B Certification provides recipients tremendous value, in terms of a universally recognized brand that is acknowledged as the best in the area of knowledge. We have a well established R&D department that continuously work towards enhancing our range of products by maintains quality. This is done by using latest technology machines and methodologies to enhance customer satisfaction and increase the production and supply per annum. 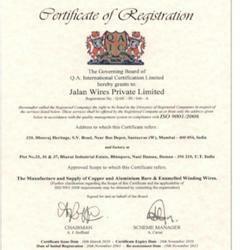 We manufacture range of Winding wires by following ISO standards and client’s need. We continuously focus towards enhancing the performance of machines that require winding wires by understanding client’s requirement and using latest technology so that we can combine both of them that result in upgraded and customized results. We do complete quality and performance measure of our manufactured products at each level of manufacturing. Our wide range includes Super Enameled winding wire diameter range from 4.06 mm to 0.091 mm (8 Swg to 43 Swg). WE include Modified Polyester with Class of Enameled covering such as F (155), H (180), C (200), PU (155) and PU (180). Our current production capacity is 300 M.T. per month and we continuously maintain growth rate that is more than 25% in every year. Certificate of Governing Board of Q.A. International Limited. With our years of engineering expertise today we are offering a range of more than 250 Winding Wires. Our extensive product galore comprises of Aluminium Enamelled Winding Wire, Aluminium Rectangular Enamelled Winding Wire, Aluminium Fiber Glass Covered Wire, Aluminium Strips, Aluminium Magnet Wire and many more. We are the renowned organization for providing complete solution of Winding Wires for several kind of application such as Home appliances, Lightning, Motors and many more. We offer more than 250 Winding Wires range. We manufacture these Winding Wires using extreme quality of raw material. Our wide range of Winding Wire that is available in various specification are highly demanded in several Industries. We do customization of these Winding wires as per the requirement of clients by following ISO standards. We do customization on the basis of weight, thickness, material, coating (Paper, Mica, Fiber Glass, PVC, Enamel, Cotton etc). We trade these Wires in various industries as per the requirement of clients. Our team of experts is gaining experience from past many years in manufacturing and supplying Winding Wires by a proper channel ensuring consistent quality. Our range of Winding Wires are completely passed through several stages of quality inspection by our quality experts. 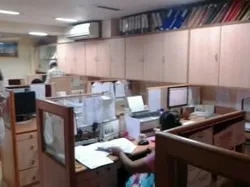 We have an expert team of engineers, sales manager, technicians, quality managers, supervisors etc. These expert professionals are dedicated towards completing the demand of various high scales or low scale industries by increasing the production of our organization. We are engaged in delivering these Winding Wires into the various small and large scale industries. 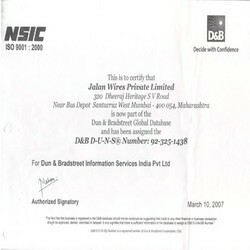 We believe in delivering unique quality Winding Wires in order to provide complete satisfaction to our valuable clients. We make long lasting relationship with our esteemed clients who are spread across South East Asia & Middle East in the world by completing their requirements. 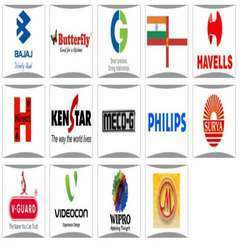 These include Bajaj, Wipro, Havells, Butterfly, Phillips, Surya, Kenstar, Videocon, V-Guard, Hirect, Meco-G, Smart Solution and many more. We make our every client to think more than the expectation. Client’s satisfaction is our aim and this we achieve by delivering high quality Winding Wires. We supply these Winding Wires as per the client’s exact requirement that is delivered after quality and performance measure checking under certain parameters. We offer complete solution of Winding Wires in several Automobile industries such as in Automobiles, Transformer, Motors, Appliances, Switch Gears, Lighting etc as per their requirements. We supply our range of Winding Wires at competitive market prices and as per the specifications. We procure the raw material from Quality driven organizations, ensuring pure material as per the requirements.